Dehumidifier for basement: what size do I need? • The Air Geeks, reviews of air conditioners, dehumidifiers and air purifiers. 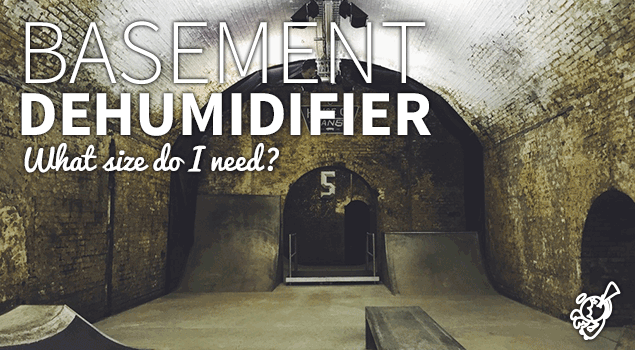 Blog, Dehumidifiers » Dehumidifier for basement: what size do I need? Dehumidifier for basement: what size do I need? A dehumidifier regulates the amount of moisture in the air to ensure that your space has the desired relative humidity. Excess moisture in the air promotes the growth of mold and mildew. It can also cause your furniture and other possessions to rot or corrode. To avoid this, you should get a suitable moisture control system. Dehumidifiers come in a variety of sizes and designs. The capacity of a dehumidifier is a measure of the amount of moisture that it can draw from the air within a specific duration of time. High capacity dehumidifiers are capable of drawing a lot of moisture from the air within a short time and they are suitable for medium and large spaces. On the other hand, low capacity humidity control systems are suitable solution for small spaces. Are you looking for a suitable humidity control system for your basement? 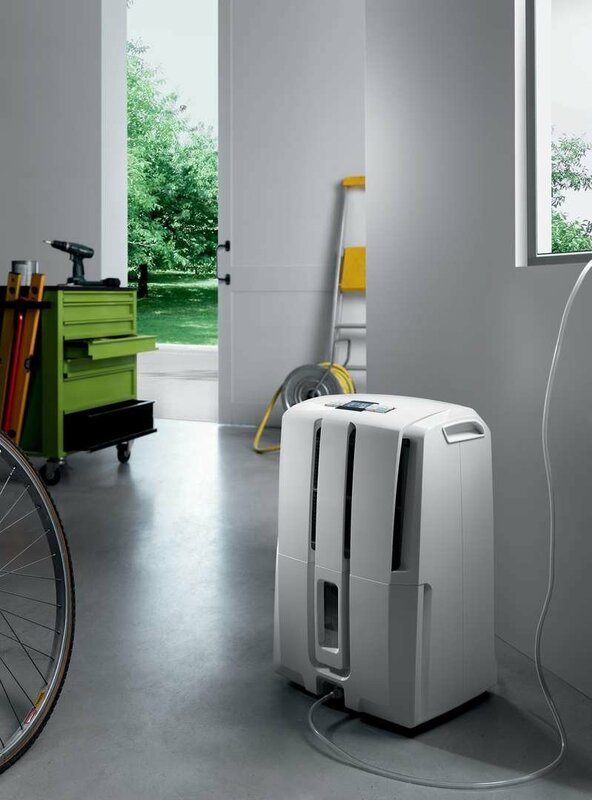 Before you select a specific dehumidifier for your space, you should consider various factors. To start with, you should know the size of your basement. An extra-large basement can demand more than one humidity control systems. However, a high capacity dehumidifier can be all that you need to ensure that your basement has the desired relative humidity. In addition to capacity, you should also consider how you will be emptying the accumulated water. For large spaces that are between 2000 and 5000 square feet, a high capacity humidity control system is required. Such dehumidifiers are capable of pulling up to 90 pints of moisture from the air within a day. The recommended sizes of high capacity dehumidifiers vary from one model to another and from one manufacturer to another. For medium sized basements, a 70 pint humidity control system is a suitable solution. Manufacturers recommend such dehumidifiers for spaces that are up to 3000 square feet. For best performance, you should ensure that the size of your basement is smaller than the recommended size. Are you looking for a humidity control system for your relatively small basement? If you answer is yes, then you need to go for a low capacity unit. If your basement is approximately 500 to 1000 square feet, then you can select a 30 pint or 50 pint dehumidifier. The recommended sizes for low capacity dehumidifiers vary from one model to another. For best results, you should select a humidity control system that is recommended for spaces that are larger than your basement. Most dehumidifiers come with a reservoir for holding the accumulated water. The capacities of these reservoirs vary from one model to another. In high humidity environments, a dehumidifier can fill its reservoir a couple of times in a day. To allow continuous drainage of the condensate, some dehumidifiers allow users to drain the accumulated water to an external sink under gravity. For most basements, this does not work well because of the vertical distances involved. To solve this problem, some dehumidifiers feature built-in pumping mechanisms that allow them to pump the accumulated water to sinks that are a couple of feet above them.